Since FY 2011, IRCI has been conducting the project titled “Documentation of ICH as a Tool for Community-led Safeguarding Activities”. As the concluding activity of the final year of the above project, an intensive working session was held in Tokyo on 16 March 2015. 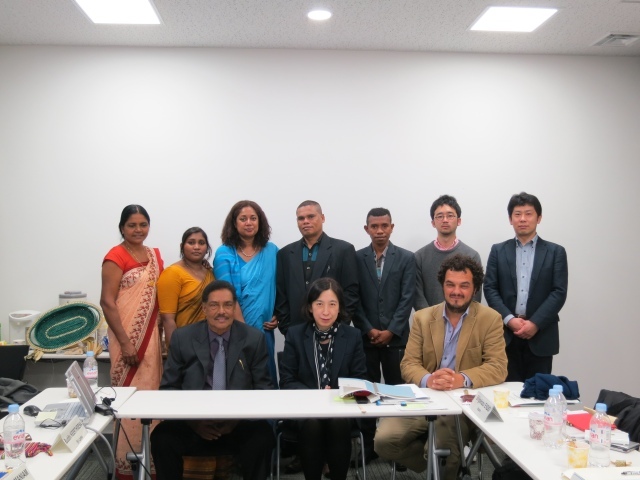 IRCI invited a total of 9 participants, including those experts from Timor-Leste who were to complete their action plan and video-recordings, as well as government officials and ICH practitioners from Sri Lanka and Japan. The digital version of the final report of the project is being edited by Dr. Metje Postma of Leiden University and other experts who led this project.